Ever think, "Gosh, those ArtBikes are so darn cool. If only there was a way to use them as an incredibly original marketing tool while also promoting a local and environmentally-friendly lifestyle that I find valuable to our community!" Well, reader, you are not the only one. We here at Modern Art have been thinking the same thing. That's why we have partnered with The Common Wheel to bring you ArtBike Lancaster. 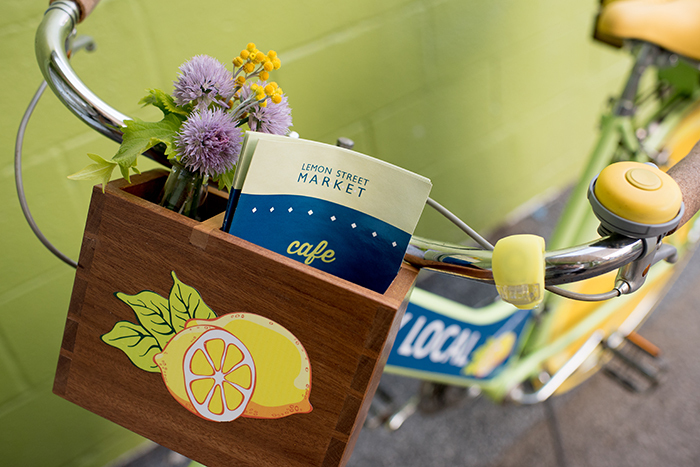 Here is our flagship bike, The Lemonader, a bike we created with Lemon Street Market for their store. Photographs by Code the Photographer from Growing Tree Photography. I know what you are thinking: "How can I create my own ArtBike for my business/organization?!?" It's simple. Just contact us at Modern Art and we will be happy to get you on your way to a new, socially engaged way of marketing.